Food was awesome. Service was great. I can’t wait to go back. Great place and food is always top notch. Its a favorite. Outstanding restaurant in Saddle River. Nothing to find fault with at the SRI. Small wait for reservation, but attentive host kept us informed. BYOB allows patrons to bring their own choice of wines (recommend a very good bottle to pair with the quality of the entree you will order). 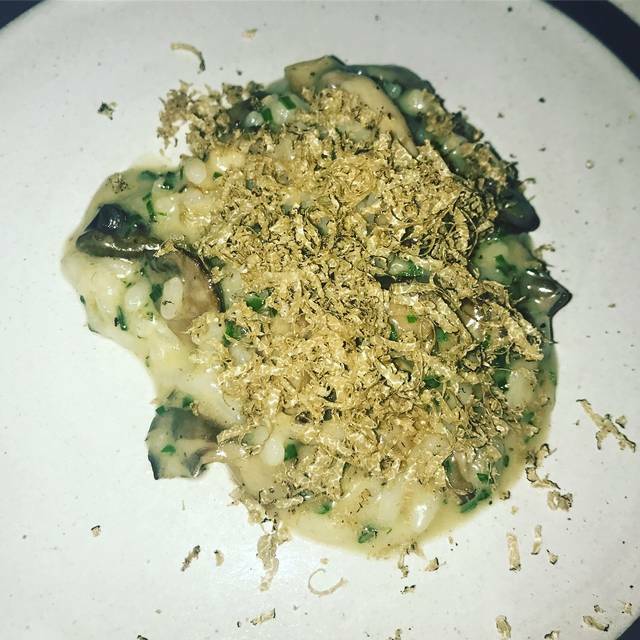 Risotto with truffle appetizer was the best I have had since traveling to Genoa. The chef special soft shell crabs were tasty, perfectly spiced and the dinner finished with chocolate lava cake. A great and memorable meal. We will be back often. Hard to find anything close to this quality in Bergen County. Once again an exception dining experience. 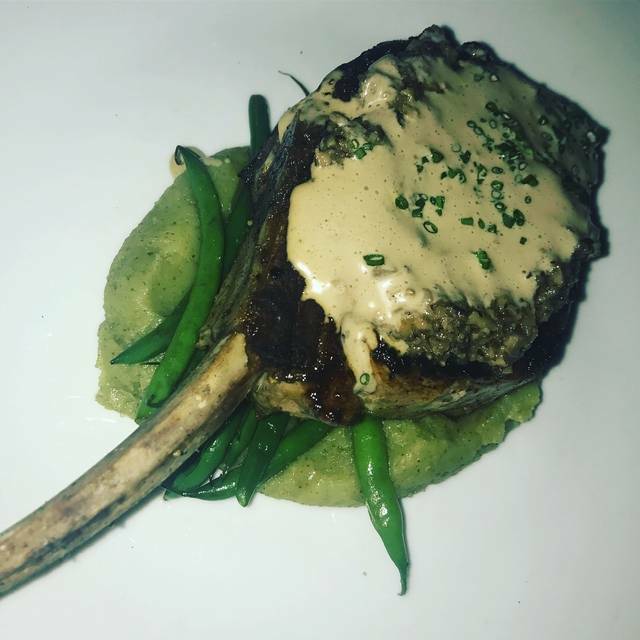 Will always select Saddle River Inn when we want something special. Consistently delicious! This time we celebrated my husbands birthday. We had the Hamachi special and crabmeat salad off the menu as appetizers and for entree's we had the steak special and sea bass off the menu. 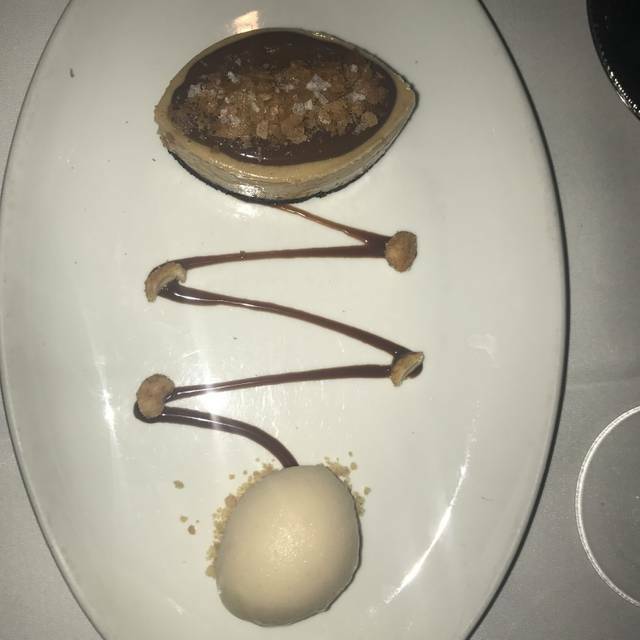 Its very hard to choose but you cannot go wrong with what you order - for certain do not miss the peanut butter mousse desert with banana ice cream!!! Love❤️❤️ The tuna carpaccio should NEVER leave the menu- it is divine! We arrived at 7, but a corner table that was requested was not available. We sat upstairs at a nice table with a view. For the first time In many visits, service was slow and inattentive. 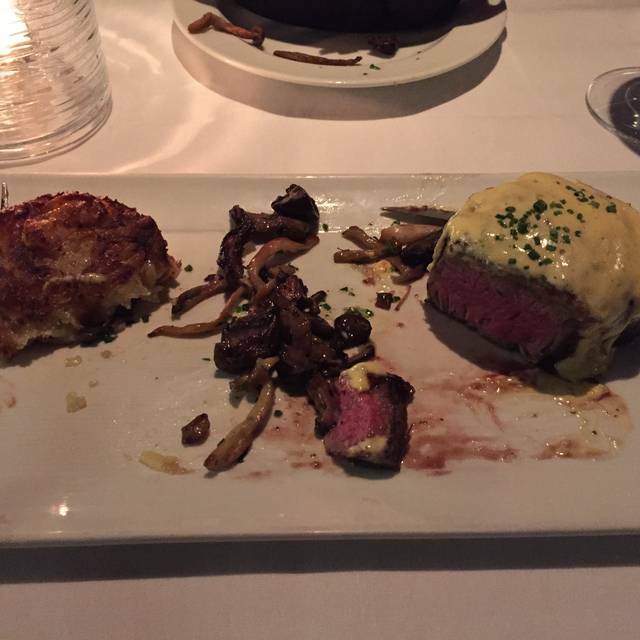 My husband's steak was mediocre; ny sea bass was good. We complained and got free desserts, which made up for nothing. We did learn that repeat customers who were known to staff got fast, exceptional service. Before this, we always felt all diners treated equallly. Not so. We will try again and hope for a better experience. Outside of the fact that it was the smallest crab cake appetizer I have ever seen- the meal was excellent, the service was beyond exceptional, and the overall experience was sublime. The prices are pretty high but food and service are excellent. One of the top restaurants in the metro area! Wonderful food, service and ambience. Ordinarily, I would give this restaurant a raving 5 star we even brought guests since we love this place so much. On this particular night my food was terrible!!! Our waiter came and asked if it was to our liking, I was embarrassed to send it back but I could eat it. They made me another and while it was average, at best I ate some so I wouldn't make my guests uncomfortable but at this point, I was no longer hungry. I'll definitely go back but would never unfortunately, I was disappointed in my meal. Beyond amazing. And fresh ! Went to celebrate a family birthday. Food was phenomenal as always. Service was attentive without being intrusive. Server remembered us from past visits and made recommendations based on our past preferences and was spot on. I always look forward to our visit there definitely the highlight of our week! One our favorite restaurant for special occasion dinners. The service was first rate and the appetizers and dinners were outstanding. We go 3 times per year in celebration of our birthdays and anniversary. The service and food are always top notch. I would recommend for people that want to go out to dinner for a fine dining experience. We really enjoyed our dinner. The food was delicious and so the service was great. Tye was a great waiter. Can’t wait to go back. Tuna fish was great, and I had some of my wife’s octopus....fantastic! Truffle risotto is the best and Maribar steak was perfect! Service was also top notch! Dined at the Inn this week. We met family there and when we arrived my brother in-law said he was told he was early so we had to wait. Our Open Table reservation was 7:15 although the host told him 7:30. No worries we waited until 7:30 to sit. Our wine was taken to our table and service started out very well. Bread and water were served, menus came and specials were given. Wine was poured and orders were taken. Appetizers arrived and we're very good. Service was not consistent at this point as my brother in-law had to get up and search for the Chardonnay in the communal wine bucket. Entrees came and the special risotto was excellent as were the fish dishes. There was one special dessert; olive oil pound cake that was fairly neutral. All in all, a restaurant I would recommend you try at least once. 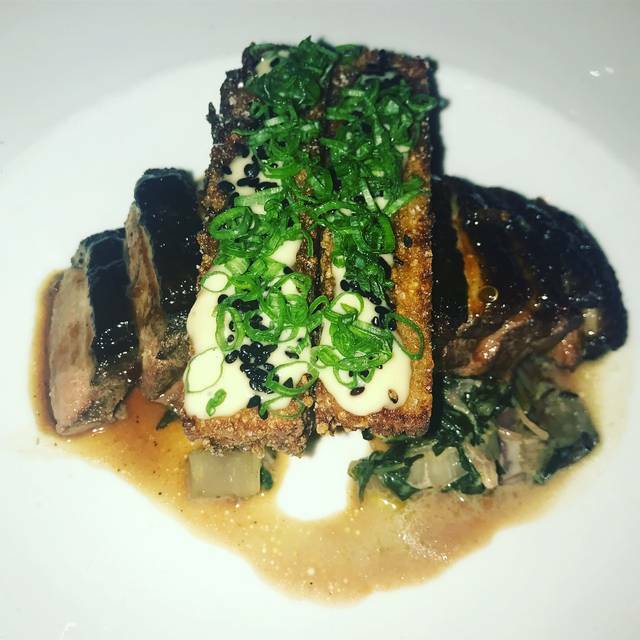 Chef Knott and his staff do an amazing job! Food is always perfectly prepared and the service is second to none! Make sure you try the Spanish Octopus appetizer! The food was excellent but expensive....it is a byob.... I only mention that it is expensive so someone is not shocked...you have the feeling that you are eating in an old barn with nostalgia....the staff were all very nice and knowledgeable...we enjoyed the food very much and we were not rushed at all...you need a reservation in advance....they book up quite fast..enjoy everyone!!! We were told we could have a table downstairs since one of our guests was 81 years old. Upon arrival we were taken upstairs. When I mentioned that we were suppose to have a table downstairs, I was told there was no note to that affect., and that was that. No effort to accommodate us. And also, coat person was being rude to guest who didn’t have tag for coat in our arrival. A bit of arrogance here. Food was very good. Wait staff was terrific. Not sure how it’s possible, the food gets better and better. The pork chop is outstanding. This is a really special place. The atmosphere is beautiful. Lighting is perfect, and there is plenty of space between tables so that you're not dining right on top of your neighbors. The food was terrific with a lot of variety on the menu. And the service was great. I can't think of a better place to dine in Bergen County. Only problem is getting a reservation! 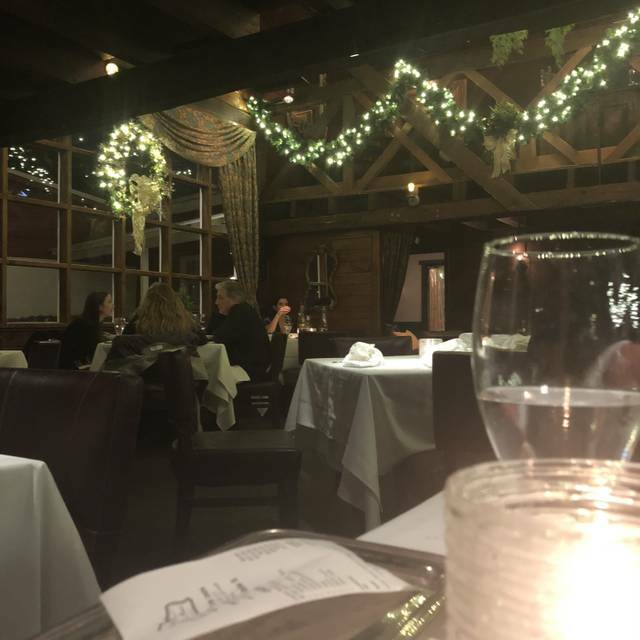 Saddle River Inn is my favorite Restaurant in NJ. I eat out a lot and Saddle River Inn is the best. I used to eat in NY City when I worked there, and Saddle River Inn measures up to most of the top NY restaurants. We had a wonderful evening. Food and wait staff were excellent! Never disappointed. This restaurant is absolutely superb. 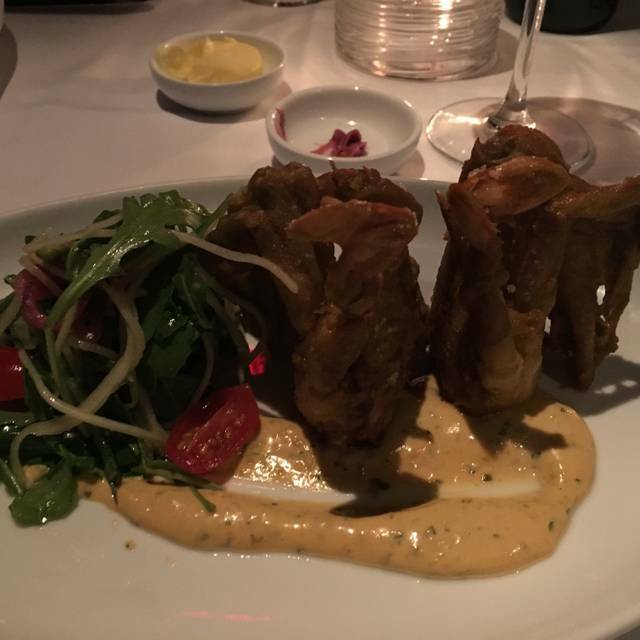 The food is delicious, the ambiance is very romantic and service is impeccable. We celebrated our 25th wedding anniversary at this lovely restaurant! 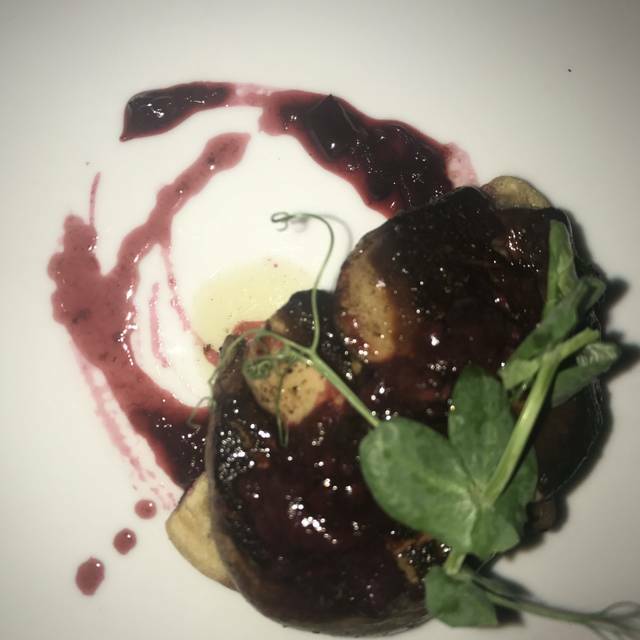 The service and the food were outstanding. 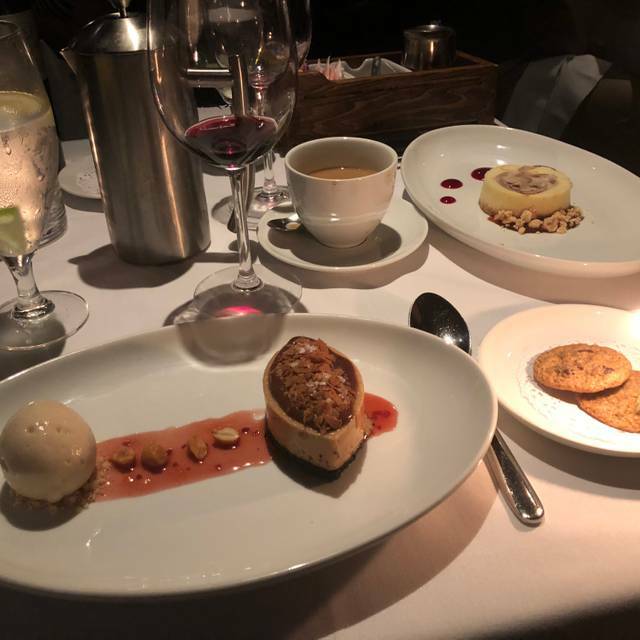 It was the absolutely the best food i have ever tasted hands down... i had my proposal here and the manager Anthony set up my every need i cant wait to go back!! !